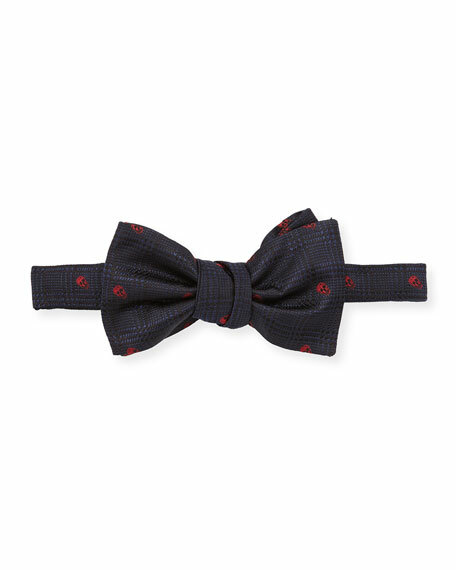 To be honest, I think a lot of men are afraid of bow ties, or have opinions about the kind of man who wears a bow tie. That it projects a certain air of aristocracy. Maybe because it’s a little more ‘Old World’ than a skinny tie. Victorian. 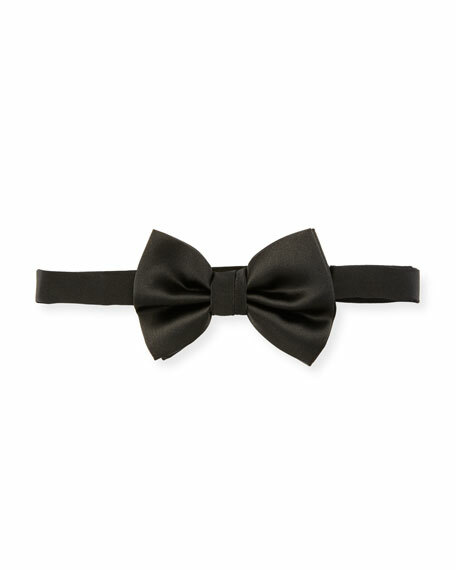 Or maybe it’s because traditional ‘Black Tie’ dress code is actually a black satin bow tie. 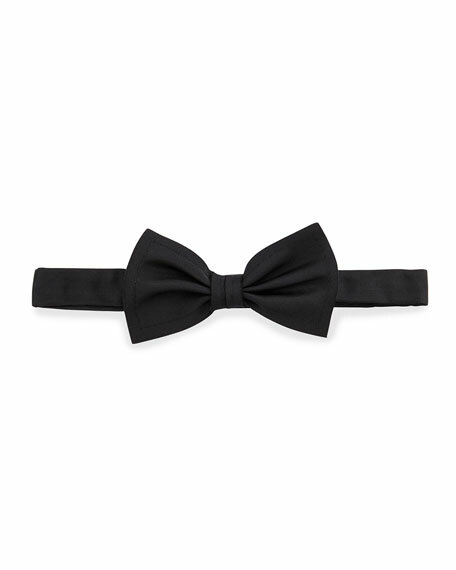 The perception is that bow ties are only appropriate for red carpets or galas. But that’s just so totally wrong! 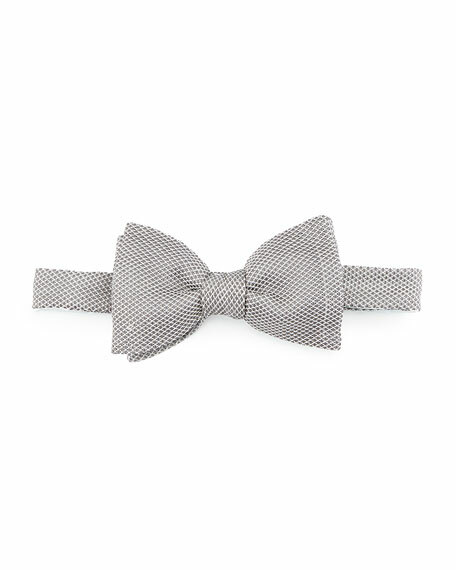 Since it’s prime wedding season and I’m at that age when all of my friends are getting hitched, I thought it would be appropriate to put together a bow tie guide for 4 different kinds of weddings. Cuz not every wedding is done in a church, or with a white dress, or with a ceremony. 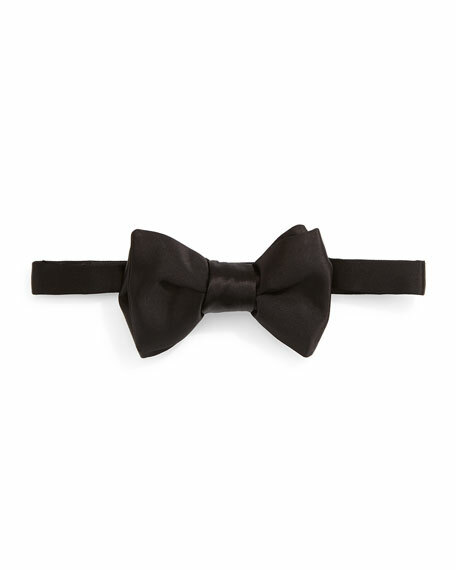 To help me along, I partnered up with Neiman Marcus, whose bow tie collection ranges from Tom Ford silk to feather covered Brackish Bowties. Check out each look below and let me know which one is your favorite in the comments. If I were attending a beach wedding, I would wear basically the same thing, just switch out the oxfords for something a little more casual (like a driving loafer). But this look is great for any sort of casual outdoor wedding. It’s grounded in ‘elevated denim’. I’m still wearing a blazer, bow tie and pocket square, but I paired them with a chambray shirt and white denim. The combination is a mash-up of crisp Summer styling and dapper accessories. 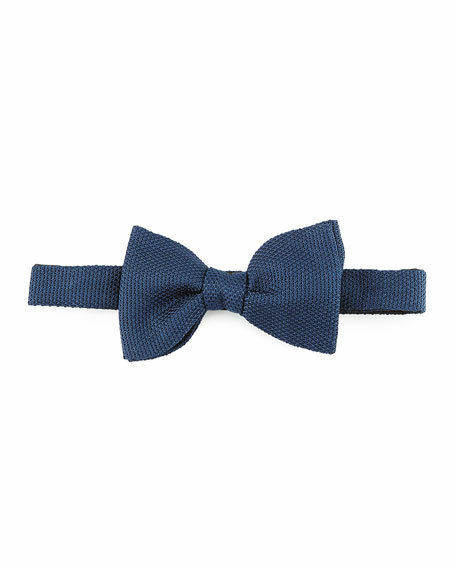 I should point out, this is a knit bow tie from Lanvin. 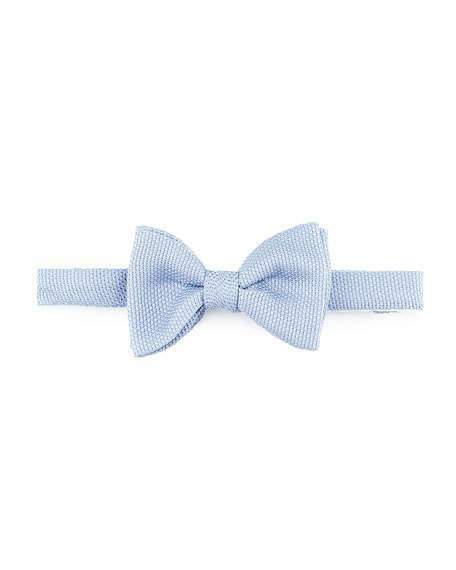 I think knit bow ties pair best with casual looks, particularly chambray. 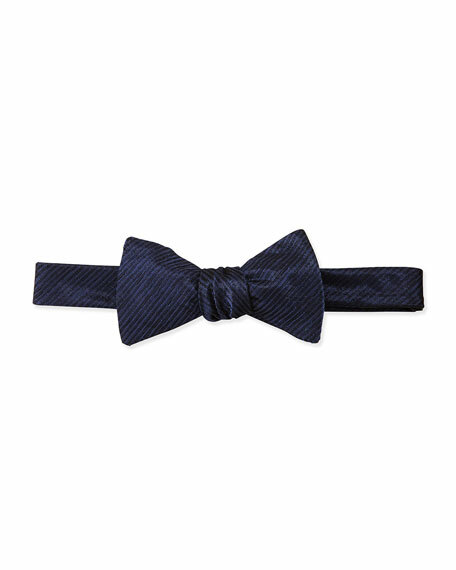 I wouldn’t recommend a satin bow tie or anything in a black or dark navy. Lanvin makes a pocket square with four different patches of color. Which happen to match all of the blue ties in his collection. No brainer right there. Formal daytime weddings in the Summer are tricky. You should wear a full suit, but you don’t want to sweat all day long. Two recommendations: find a linen or tropical wool suit, and wear a vest. I know wearing a 3-piece suit in the middle of Summer sounds like crazy town, but once the ceremony is over and you’re hitting up the buffet and dance floor, you can ditch the blazer and still look super sharp. Not like Uncle Ted whose blouse-y shirt comes untucked when he does the electric slide. Again, it’s Summer, so opt for lighter colors in your suit. Since it’s still a formal affair and you’re wearing a 3-piece suit, you can go for darker accessories. 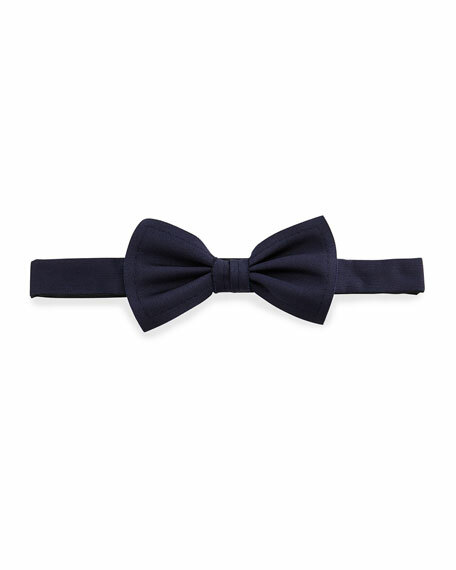 This Lanvin bow tie has an unfinished hem, so it’s somewhere in between casual and super fancy. I had a friend who skipped the ceremony portion of the wedding, got married at the courthouse and then had a party in a backyard in Williamsburg. This is what you wear to that kind of wedding. It’s unconventional, not dapper but still super sleek. Like you’re willing to pay for an $18 cocktail kind of sleek (though honestly— if your wedding doesn’t have an open bar, I’m probably not coming). And it’s just denim and a leather jacket! 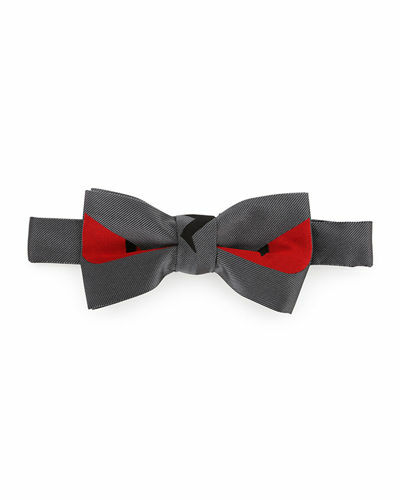 The bow tie does all the work for you. I went with a satin Burberry bow tie to dress things up just a bit. 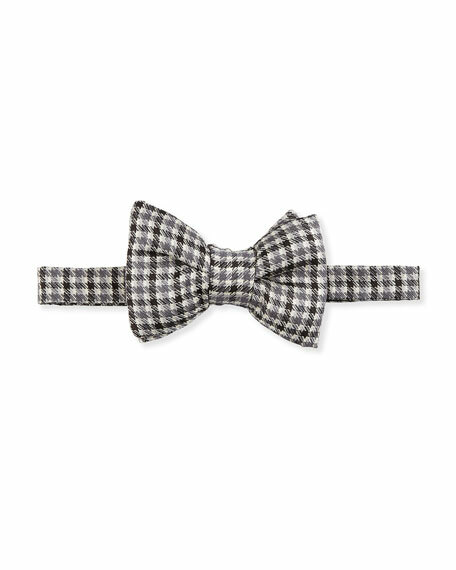 This houndstooth bow tie is from Tom Ford. I paired it with a floral lapel pin and solid grey pocket square. So what’s your verdict? 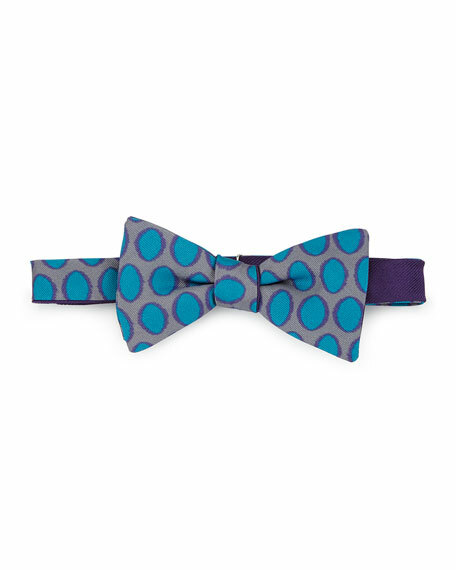 Are you a bow tie man or a traditional tie man? P.P.S. The 3-Piece Suit look was shot by Diego from Dandy In The Bronx, all others were shot by my partner, Mike Georgen. *This post is in partnership with Neiman Marcus. All thoughts and opinions expressed here are my own.